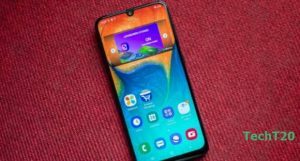 Samsung Galaxy A30 in Bangladesh has been a center of gossip recently. 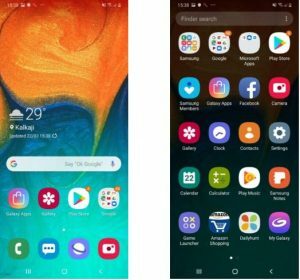 As the new phone arrives, the unique glossy designs and the build quality have been arresting the eyes of people in Bangladesh. This year, Samsung has launched bunch of new phones which were quite sufficient for this brand to make a good profit. But the giant did not stop right there. Samsung Galaxy A30 in Bangladesh comes with a very satisfying shape. 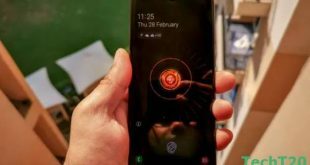 When you will grab the phone with your hand, it will definitely make a positive impression with its design and build quality. The 6.4 inches phone has a very slender slim body and you will feel it is light as a feather once you take it on your hand. Like the Samsung Galaxy A50, it has the same design ethos. Samsung A30 comes with an elegant glass finishing which it calls the ‘3D Glasstic’. The phone gives a premium vibe even though it has used polycarbonate material. 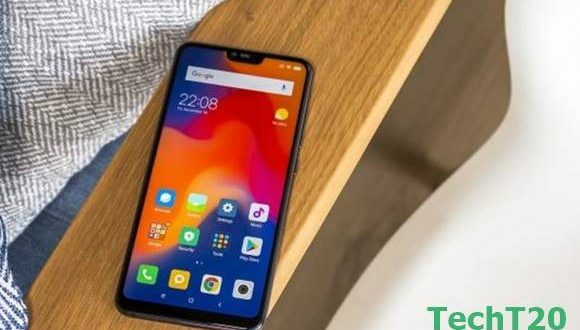 Now, if you have used Redmi Note 7 Pro, you may place the ‘glass look’ of Samsung Galaxy A30 bellow it. We believe that the Galaxy A30 feels more ergonomic and comfortable. The bend of the ‘glossy finish’ with a gradient is quite superbly made. The vibrant 6.4 inches screen comes with a U-shaped notch at the top housing selfie camera. Below the display of the phone, there’s a sizable chin that is a bit thicker than other sides. 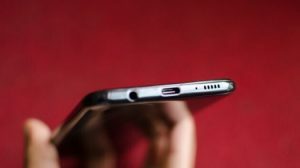 At the bottom, a USB Type-C port is placed next to the mono speaker with a 3.5 mm headphone socket. Galaxy A30 has one big difference with the Galaxy A50 when it’s the issue about fingerprint sensor. While its sibling Samsung Galaxy A50 has an in-display fingerprint sensor, Galaxy A30, on the other hand, kept the old school trend. On the back, Samsung A30 has a physically visible fingerprint sensor. You won’t face any problem reaching it, unless you have small hands. Galaxy A30 hasn’t mentioned anything about using any kind of Gorilla Glass or any type of reinforced glass, but the display seemed resistant to scratches as we used it. But if you talk about the overall appearance, then we will say Galaxy A30 is one of the best-looking smartphones in this segment. Galaxy A30 will make you drool for itself for its mind-blowing display. The fact that this phone comes with an AMOLED screen with such a budget actually amazed us. The phone houses a 6.4 inches full HD+ display with 1080 by 2340 pixels resolution as well as 19:5:9 aspect ratio. You will love its punchy color as you use the phone under harsh sunlight very comfortably. Besides, Galaxy A30 has got the Widevine L1 certification for HD streaming. ‘So what’s the big deal about it?’ you may ask. Well, the Samsung Galaxy A30 supports HD streaming on apps like Netflix, Prime Videos, Hotstar etc. Samsung Galaxy A30 will not disappoint you with its massive battery performance. We, TechT20 team have used this phone and checked its battery performance. The phone seemed to run forever with its massive 4000mAh battery. According to our experience, the device ran more than one day with one juice of charge. If you like to count, we would say it lasted for about 15 hours in one blow. This included 3-4 hours of gaming, 2-3 hours of music on Spotify, four email accounts which are synced constantly. In addition to that, we also used Whatsapp messaging, uploaded 10-15 photos on Instagram, kept on facebooking and many more with a bunch of apps in the background. And since, as we mentioned above about the Type-C port in the new Galaxy A30, you’ll be able to charge the phone from 0 to 70% within 1 hour. Samsung Galaxy A30 comes with an elegant dual camera setup. 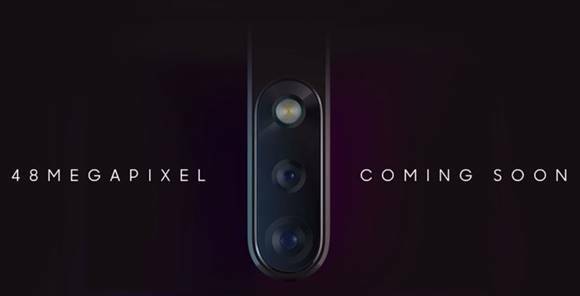 The primary camera comes with a 16 Megapixels that has f/1.7 aperture. The secondary comes with 5-megapixel (f/2.2 aperture) wide-angle camera, but this time, it comes without autofocus. 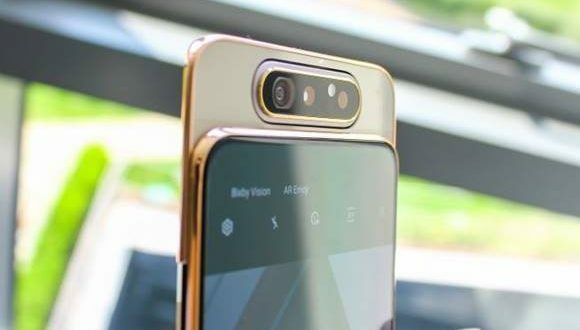 The later has the same 123-degree field of view just like Samsung’s new flagship, the Galaxy S10 Plus that was released in 2019. Just like the Samsung Galaxy S10 Plus, the app offers the Scene Optimizer. The Scene Optimizer will automatically detect objects and it will adjust the exposure that is sufficiently needed. It tends to boost the colors slightly and it also softens the textures a bit. We have good news for Selfie Lovers. If you have the selfie syndrome, you’ll have your jaw dropped to hear that the front camera of Samsung Galaxy A30 has 16-megapixels sensor. You’ll get good feedback in the daylight photography. The colors come out good as the HDR also worked really well. But under low light, image may come a bit patchy and can lack good amount of detail. When we snapped landscape photo, we saw it has pretty good detail. With the wide angle sensor, it just gets better as you can fit more scene in the frame. Though you might face a bit of barrel distortion while using wide angle sensor, overall, it won’t be much of a problem. 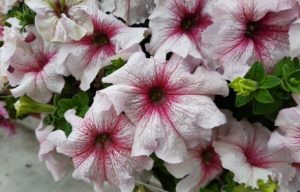 As the wide-angle sensor lacks autofocus, the main camera is better in capturing the details. Samsung Galaxy A30 will let you shoot up to full HD videos that have good quality, but you might face a bit disappointed with the stabilization. 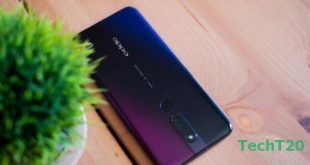 If you are not into quick continuous autofocus, then this phone is for you. You can shoot videos with low details by using the wide-angle cameras. For extra fun, you can use AR emoji of the camera app. Samsung Galaxy A30 has the modes you desire in its camera app. It has got Panorama, Pro, Live Focus and what not. With the Portrait Mode of the camera app, you can adjust the level of the blur effect of the background before and after taking a shot. The edge detection of the camera is pretty good, as we saw. If you want to take selfie with good detail, we urge you not to take selfies on low light. 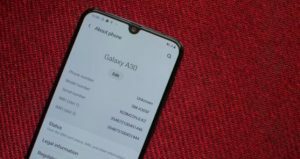 So, these are the things you need to consider about Camera of Samsung Galaxy A30 in Bangladesh. Samsung Galaxy A30 is a good performer when we spent the time with this phone with usual chatting and productivity app. We don’t think the little bit of lag while using some part of the UI will bother you much if you are a moderate user. 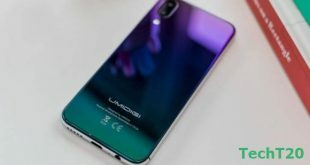 We found the benchmark numbers regarding this phone quite similar to those of Galaxy M30 and Galaxy M20. A score of,06,260 points were given by Antutu while in the T-Rex test, GFXbench returned just 23fps. One of the good news about the performance is that the phone doesn’t heat up too much. If sometimes, your GPU and CPU get a bit stressed, you might feel some warm down there. But we played PUBG in low graphics with this phone, took bunch of random photos and videos, and it didn’t get warm. So we feel that you are not gonna have that much of ‘phone getting heated up’ issue. 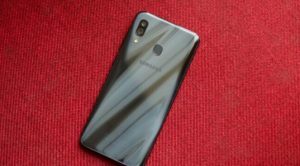 Galaxy A30 is using its own Exynos series 7 chipset inside it. A combination of Octa-core Exynos 7904 chipset and either 3GB or 4GB of RAM makes the phone more dazzling to its users. Galaxy A30 surprisingly has a decent sound quality. To boost the audio level and spatial separation a bit, you can enable Dolby Atmos for wired and Bluetooth headphones, If you are person who doesn’t have a problem with low sounds and do not take very loud sounds for your liking, then you can buy this phone. We played games, tested apps like Youtube, and the sounds weren’t that high. But you will love the speaker placement for sure. Before wrapping up now we disclose the new Samsung Galaxy A30 price in Bangladesh, because of price is a big issue for a buyer. Samsung Galaxy A30 price in Bangladesh is BDT 22,990. So if you have a budget under 20K to 25K then it will be very good option. Samsung Galaxy A30 has radically changed its mid-range gameplay in 2019. 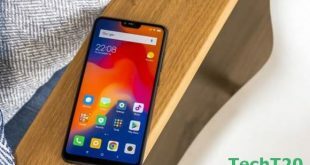 To please young customers, who are looking up to new tech specs, the company is working hard day after day, Now, this phone may not be your ‘Premium Icon’ but it isn’t too bad for a mid-range budget phone. The gorgeous screen, appealing design is actually something to talk about which you can’t just ignore. Want to know a variety of latest smartphone like Samsung Galaxy A30 in Bangladesh? In that case, stay with us since we prolifically produce the latest content on new smartphones at Bangladesh and Smartphones price in Bangladesh.